Previously in Oreo, if you’d set Ambient Display to wake with a notification or with a double tap, it would shut off if the proximity sensor was covered. This was useful for conserving battery as it would turn the screen off as soon as you put it in a pocket or a bag. It was also good if you’d already seen whatever it was notifying you about, as you could simply wave your hand over the sensor to sleep the screen. Now that’s no longer possible. In the 8.1 dev preview on any device, just as in 8.0 on the Pixel 2 and 2 XL, the proximity sensor has no bearing on the functioning of Ambient Display, or at least it doesn’t shut off when you cover the sensor. From my testing, if the sensor is already covered, AD won’t trigger and the screen won’t wake. So it won’t constantly fire while it’s in your pocket, which is a relief. Edit: It's important to note that the behavior I'm describing occurs when 'Always on' is in the off position (Pixel 2 and Pixel 2 XL only). Specifically I'm talking about when Ambient Display is triggered by double tap, lifting the phone, or a new notification, depending on how you've got AD set up. This applies to any situation on OG Pixels, since they don't have an 'Always on' setting like the new Pixels. Ultimately, Ambient Display shouldn’t use up too much battery anyway, not with an OLED display that’s capable of waking only specific pixels, such as the ones used on all Pixel phones. It does present a greater risk of screen burn-in if it’s overused, though, so it’s certainly something to keep an eye on. 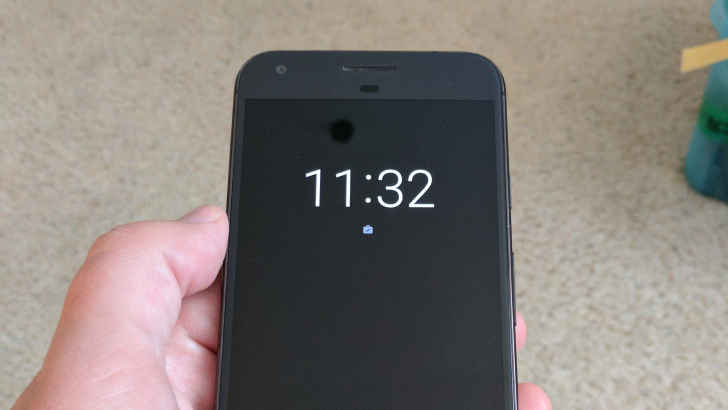 The Pixel 2 XL, in particular, could do without further screen related woes.